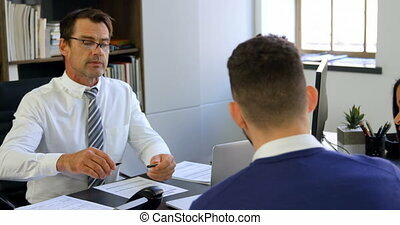 Beautiful Young Couple Signs Documents At Car Dealership Office. Agreement or contract concept. 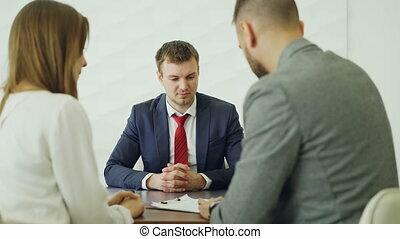 Confident young female sales manager offering car purchase contract to young couple at car dealership office. 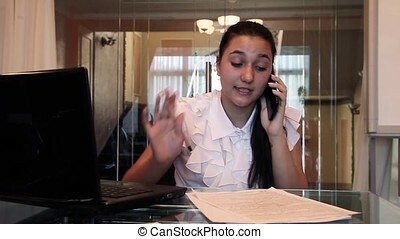 Young beautiful woman is working with paper project sitting at office desk, curly business lady in white shirt is in work process with documents during bright day. Concept: workplace, analyzing job, modern interior. 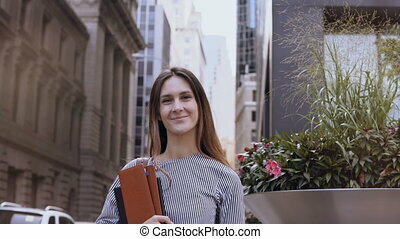 Portrait of young beautiful successful businesswoman near the office building in New York, America. Female holds the documents, looking at camera and smiling. 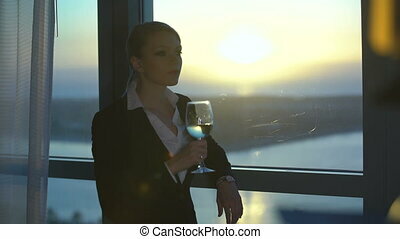 Beautiful blonde young business woman drinking wine and looking at sunset in the office, hotel room. Young beautiful female walking through the park at work. 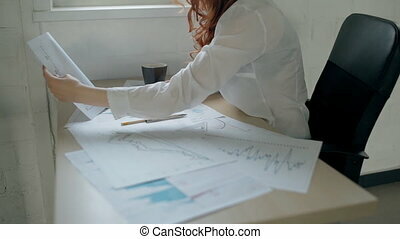 Businesswoman holding the documents and using smartphone. Busy girl works in financial district in New York, America. 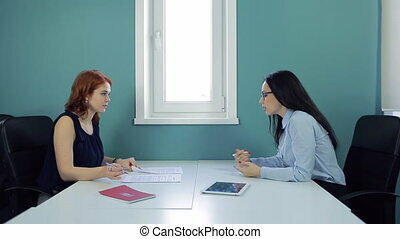 Beautiful blonde young business woman meets with partner, lover at home, office, hotel. 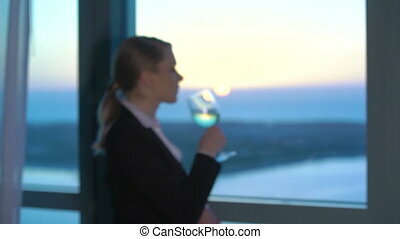 Couple relaxes, laughs, smiles, speaks, drinks tea or coffee, takes, looks at tablet. Love affair at work.